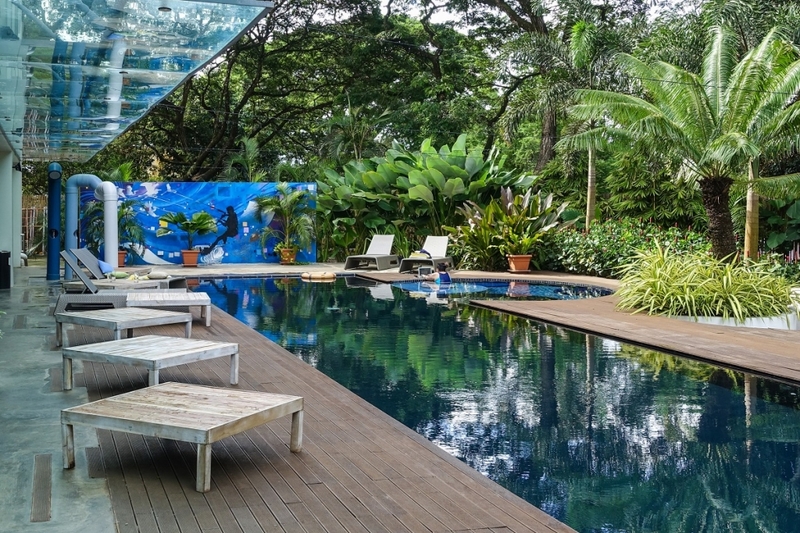 Is This the Coolest Boutique Hotel in Puerto Princesa? 2017 was the year Puerto Princesa in the Philippines flipped 90 degrees. That was when the new Puerto Princesa International Airport terminal opened: Rizal Avenue’s bar and restaurant business took a hit (the highway fronted the old airport terminal, south of the runway), and the action shifted north and west to the city’s North Road, where passengers exit the brand-spanking new terminal building to points further afield (usually El Nido, several hours’ journey to the north). With two minutes’ van ride from airport parking lot to the Canvas Boutique Hotel, the trip is possibly the shortest airport-to-hotel car commute ever. But – as a few nights’ stay would demonstrate – proximity to the airport is only the first in the hotel’s long list of advantages. 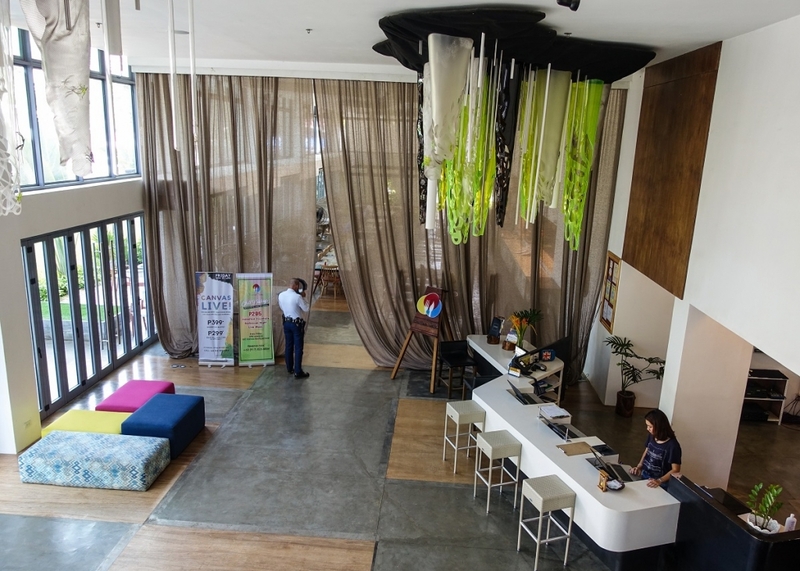 For starters, Canvas Boutique Hotel’s look departs starkly from those of other hotels in Puerto Princesa… and that’s on purpose. Forget the rustic finishes of bamboo, wood and “sawali” so cliché-worn by local hotels, Canvas goes for 21st century industrial chic, outside and inside. It could have worked out badly, in a market so inured to Filipiniana design cliches, and it almost did: “For a time, we weren’t approached by locals, who were extremely intimidated, as we look really different,” Belle confides. But foreign visitors took a shine to this quirky property just beyond the airport gate – and local tourists followed. Modern travel habits underpin the hotel’s daring design decisions. “For new travelers, it’s not about luxury anymore,” Belle explains. “Sure, [older hotels have] luxury, but no connection to the destination. 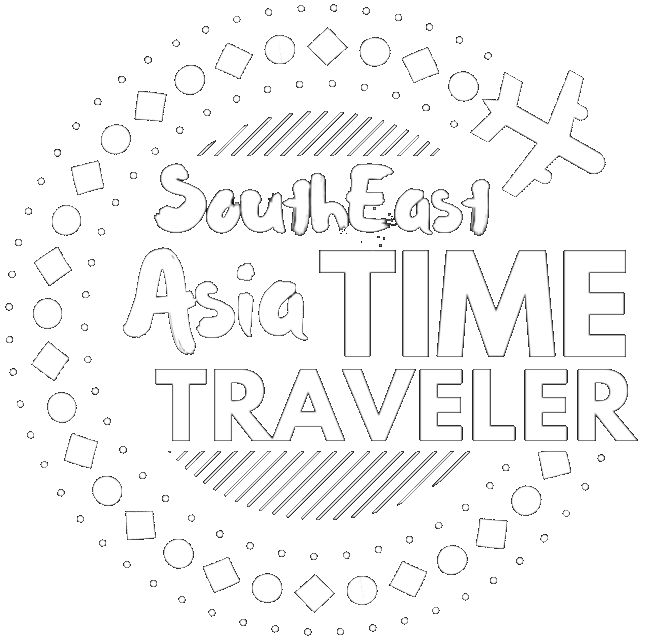 So that’s where we focused – we tried to connect as much of [the hotel’s design] as we can to the local community, the local culture, the destination. 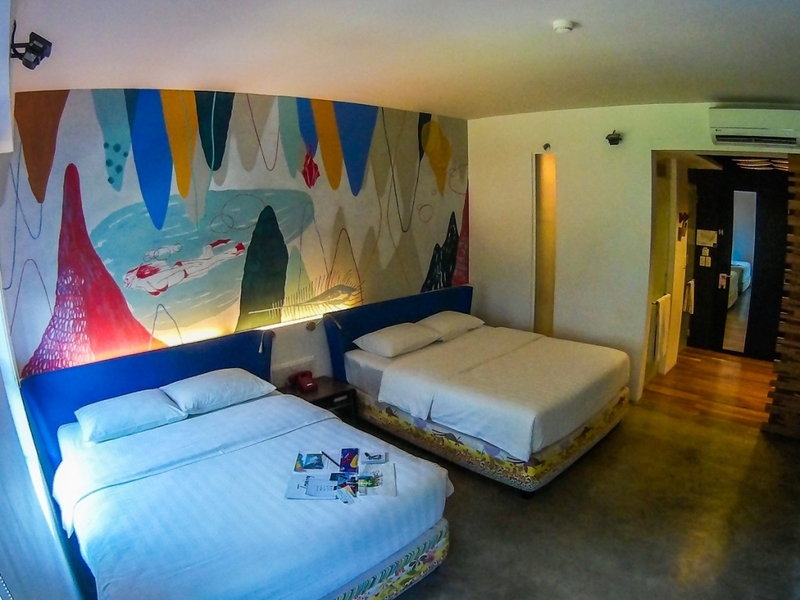 The attention to detail and habit also extends to the Canvas’ spacious rooms – the 31-square-meter deluxe room I’m billeted in contains two queen-size beds; a three-point bathroom en suite that also serves as the room’s foyer; and a hand-painted mural that recalls the snorkeling off El Nido, Palawan’s waters. Ample light comes in via the large glass windows overlooking the pool. The hotel’s builders prioritized light and living space over many other commonly-touted properties. The namesake painted table can be found right in the middle of the spacious, light-filled restaurant – a five-meter-long table that seats 18, and bears a painted surface executed by muralist AG Saño depicting Palawan’s native animals accompanied by a Batak tribal boy playing music with a leaf. 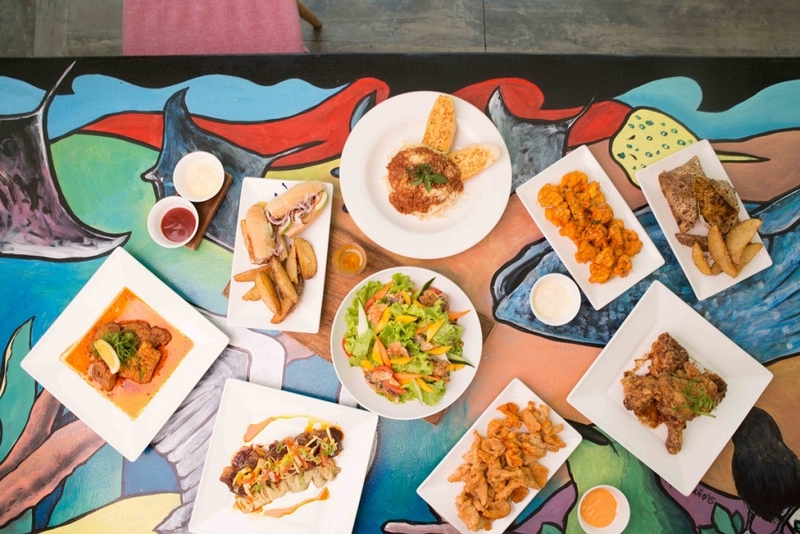 Sit down with old friends (or new ones) and try the Painted Table’s eclectic menu that draws largely from Palawan’s local ingredients and lore. Meat-loving yours-truly dug into a truly scrumptious crispy pork binagoongan, while my vegetarian next-seat neighbor ordered a spicy fried cauliflower appetizer resembling a vegan version of buffalo wings. 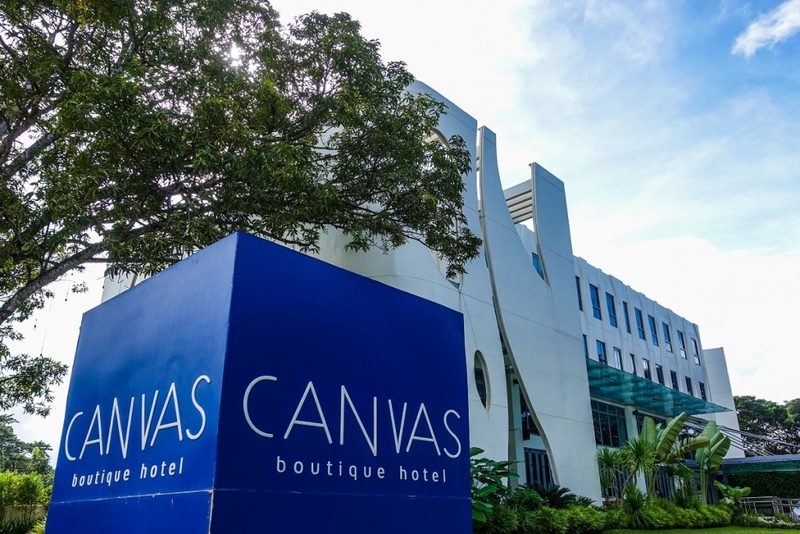 The Canvas Boutique Hotel upends the usual hotel narrative: instead of injecting luxury into every nook and cranny, they intelligently marshaled limited resources to create a uniquely, culturally-connected stay experience. Big beds – all the better for Western tourists who tend to require larger-than-Asian-size sleeping quarters. A three-point bathroom with no bathtub. And public spaces that encourage mixing and mingling, in the company of art made by local artisans.